The Grand Cashback cell of Diwali is going on at Peti M Mall. This cell offers attractive offers to many mobile phone smartphones. This is a great opportunity for customers interested in purchasing a Vivo V7+ Smartphone made specifically for Selfie. 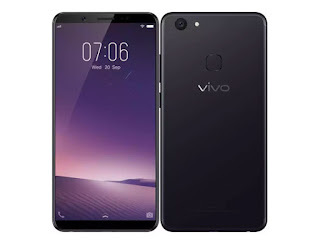 A cashback of Rs 4,500 is being given on VivoV7+ in PetiMail. To take advantage of Cashback Offer, the user must use the MOB4500 when buying from Vivo V7 + Petty. Apart from this, an additional 5% cashback will also be paid on payment by ICICI Bank's credit and debit card. Explain that Vivo V7+ smartphones were launched in India last month at Rs 21,990. We already told you that this is a selfie-centric smartphone. You will find 24-megapixel front camera equipped with F / 2.0 aperture and selfie soft light. This handset has a 5.99 inch HD resolution display. The Dual SIM (Nano SIM) Vivo V7+ Android 7.1 will be based on Nouga based on the Fountouch OS 3.2. It has 5.99 inches HD (720x1440 pixels) IPS insell display. Its aspect ratio is 18: 9. The screen is 2.5 d of the curved glass with the protection of Corning Gorilla Glass 3. Smartphones have 4 GB RAM with quad-core Qualcomm Snapdragon processor. The Vivo V7 + handset will come with 24-megapixel front camera. It is an F / 2.0 aperture lens and comes with selfie soft light. Its rear camera is 16 megapixels. Dual LED flash is provided with this lens with F / 2.0 aperture. The smartphone's inbuilt storage is 64 GB, and it is possible to use a microSD card of up to 256 GB if needed. It has 3225 mAh battery.